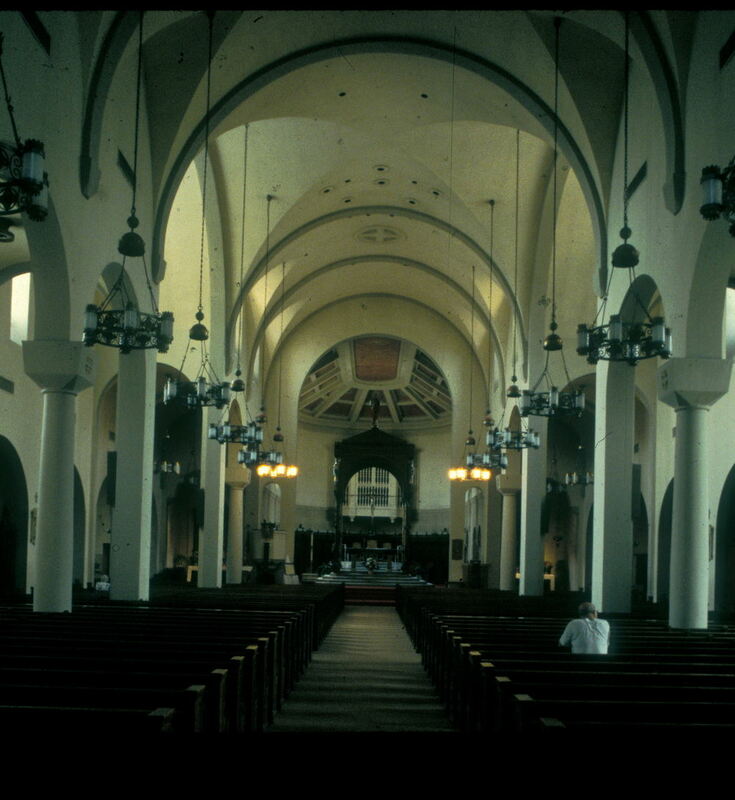 Constructed in the mid-1950s to house the presbyterium and predella, the very deep apse was far removed from the assembly of the entire faithful. Conceived at the time in an almost monastic form, the apse also included its own organ and choir stalls. While respecting the order of the existing interior fabric, we preserved the apse as a place of reservation for the Blessed Sacrament by retaining the baldacchino and choir stalls for personal prayer and Divine Office. The presbyterium was thrust forward and the proscenium arch widened to break the divide between the assembly and the ordained ministry. The baldacchino was reemployed to punctuate a place of honor for the tabernacle. New lighting and finishes on the interior complete the overall restoration of the stained glass and exterior envelope.